From 125 million poor people in 2016, India had just 73 million people in the poorest of the poor index as of May 2018. Nigeria has overtaken India with the largest number of extreme poor at 87 million poor earlier this year. India is the world's fastest-growing economy but it's also one of the poorest countries in the world. With the population of over 1.3 billion, India is trying hard to take poor people out of the poverty line. The efforts seem to be paying, says the latest report by the Future Development blog of the World Bank's Brookings Institute. Titled as 'The start of a new poverty narrative', the report says that India is moving down in global poverty ranking. From 125 million poor people in 2016, India had just 73 million people in the poorest of the poor index as of May 2018. Not only that, India is no more the country with most number of poorest people, says the report. Nigeria has overtaken India with the largest number of extremely poor people at 87 million in early 2018. India shot past China's 6.8 per cent growth for the January-March quarter, enabling the country to retain its position as the fastest-growing major economy. 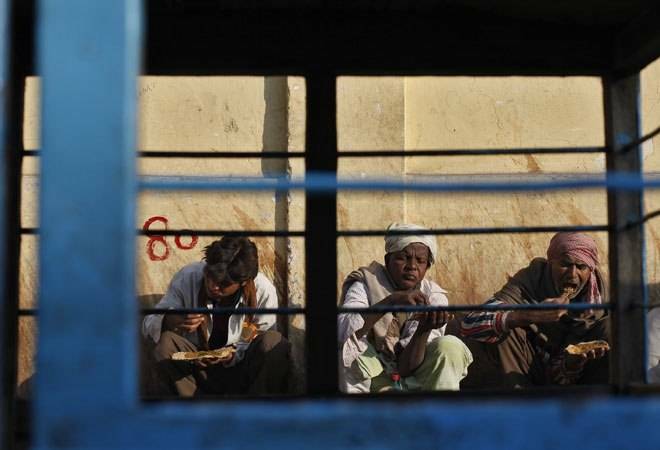 As many as 44 Indians are being taken out of poverty every minute, which is highest in the world, TOI reported. The World Bank report indicates that if the pace of positive growth remains the same, India would be able to lift up to around 50 million more people out of poverty by 2022. While poverty in India continues to fall, Nigeria is seeing a continuous uptick, with six people being added every minute in the poor category. "In fact, by the end of 2018 in Africa as a whole, there will probably be about 3.2 million more people living in extreme poverty than there is today," says the report. If the current trend continues, the entire African continent would account for nine-tenths of the world's extremely poor from two-thirds today. Shockingly, 14 out of 18 African nations are seeing a rise in extreme poverty. The report also says that the Democratic Republic of the Congo could soon take over the number 2 spot as India continues to achieve high economic growth. However, the world is far behind in achieving Sustainable Development Goals, which aims to end poverty by 2030. "Between January 1, 2016 - when implementation of internationally agreed Sustainable Development Goals (SDGs) started - and July 2018, the world has seen about 83 million people escape extreme poverty. But if extreme poverty were to fall to zero by 2030, we should have already reduced the number by about 120 million, just assuming a linear trajectory. To get rid of this backlog of some 35 million people, we now have to rapidly step up the pace," says the report. Notwithstanding the poor economic scenarios in some countries, especially Africa, reports suggest around 217,000 people are lifted away from the extreme poverty every day, and over 3 lakh people are gaining access to basic amenities like clean drinking water and electricity.